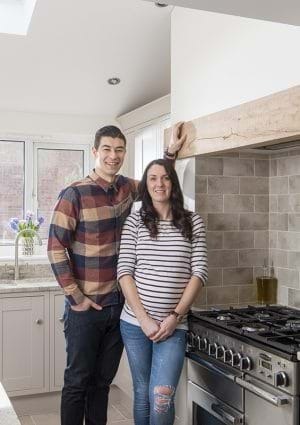 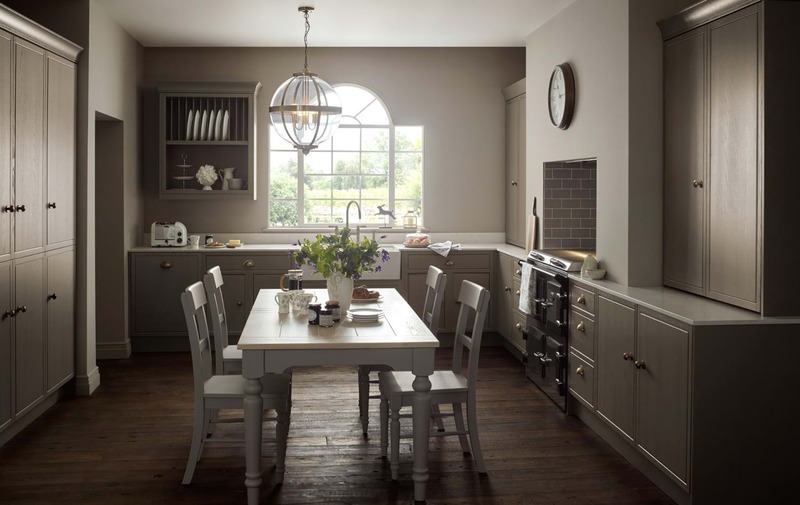 Traditional kitchens combine the charm and classic look inspired by Farmhouse & Country themes, with modern day appliances and storage practicality. 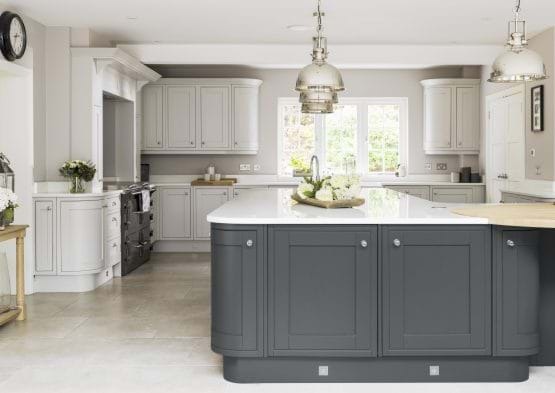 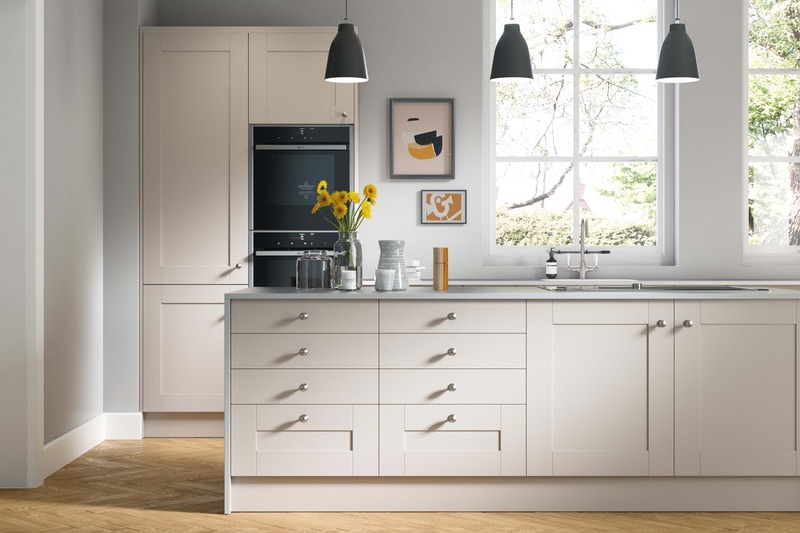 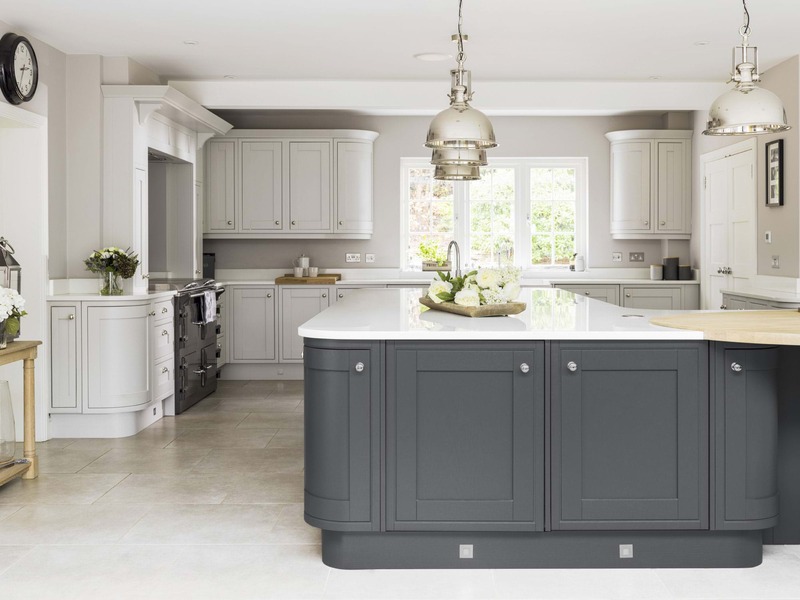 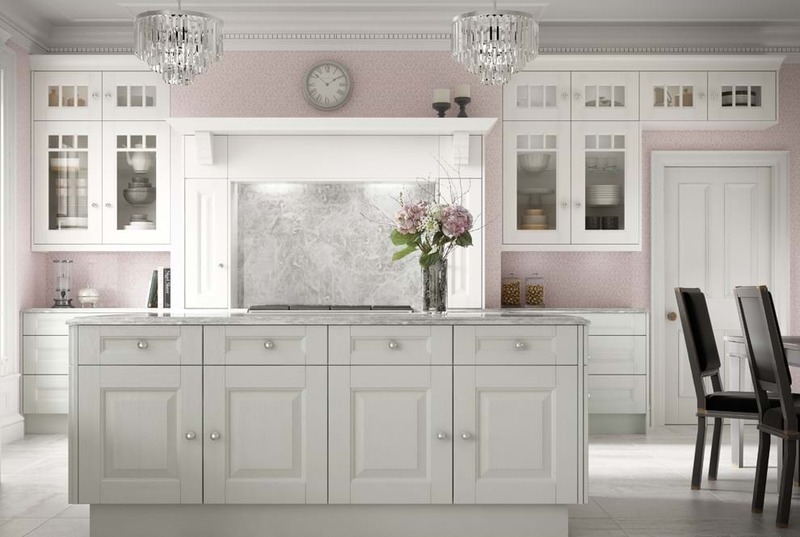 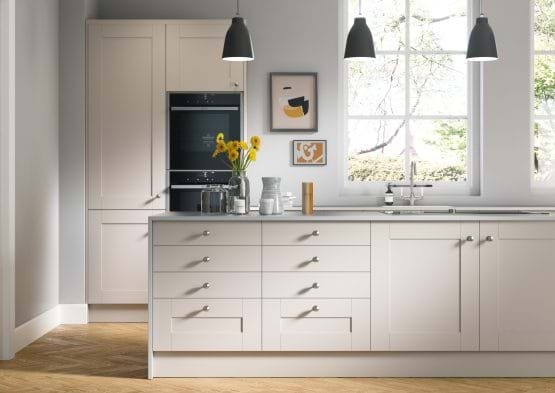 The key features of this design include the use of natural wood or painted finishes alongside basket drawers, open shelving, decorative cornices and built in plate racks, while glazed units offer the opportunity to display your favourite crockery. 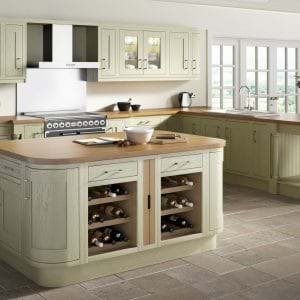 For a traditional kitchen in a farmhouse and country style, choose painted wooden cabinets, in cream, neutral or green shades. 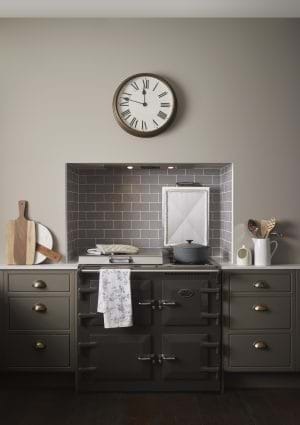 Combine with authentic inspired appliances such as range cookers which replicate the style of original AGA and Rayburn stoves. 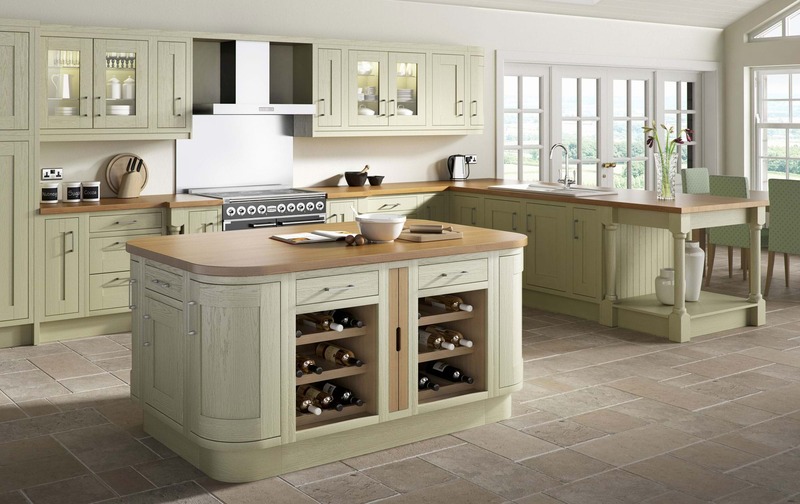 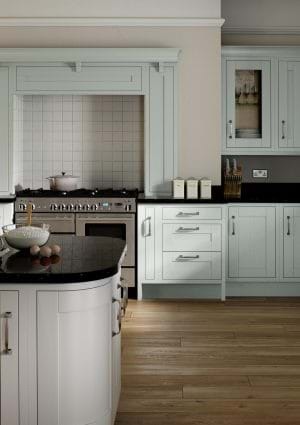 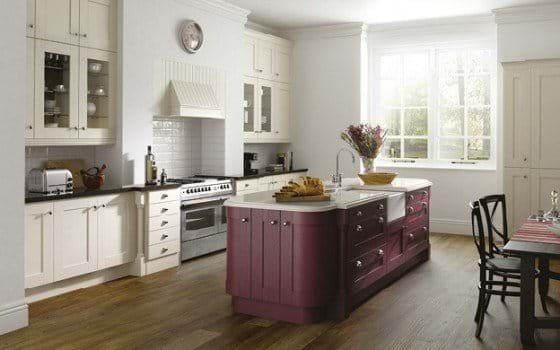 Wooden worktops in an oak and timber finish provides the kitchen with a classic traditional look, and combined with our range of traditional style appliances to it will give your home a comfortable and practical country themed haven to cook and entertain in. 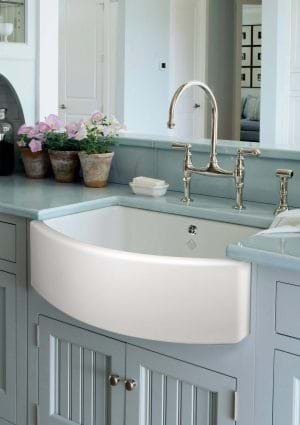 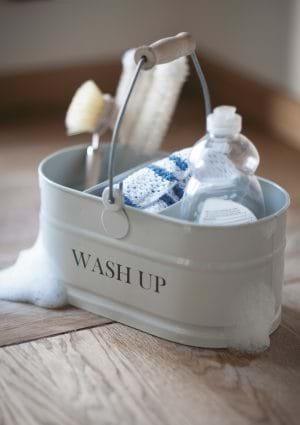 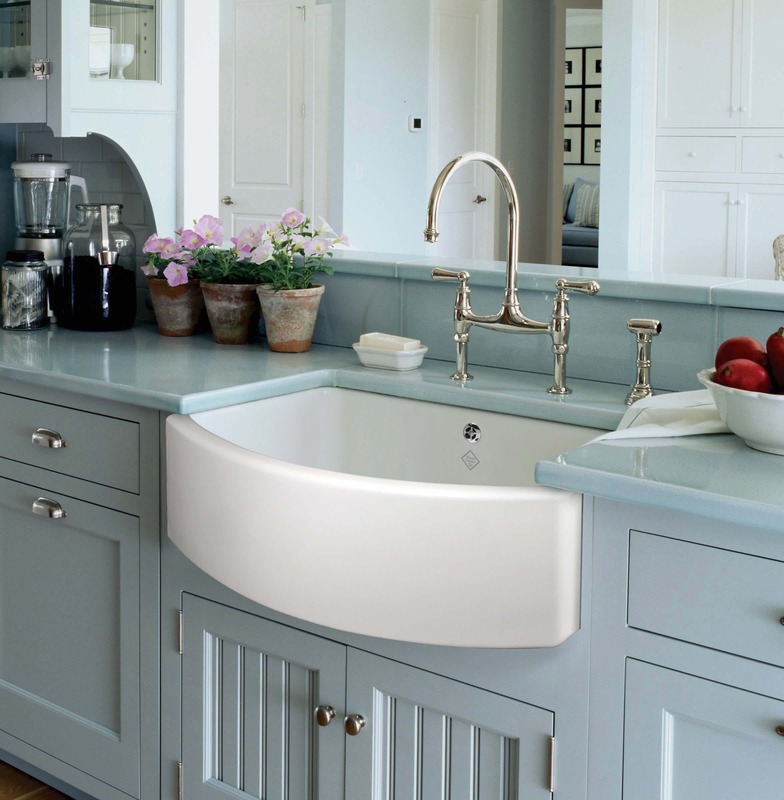 Both traditional and timeless in style, ceramic sinks are a hard-wearing choice and are easy to clean as they offer a smooth surface. 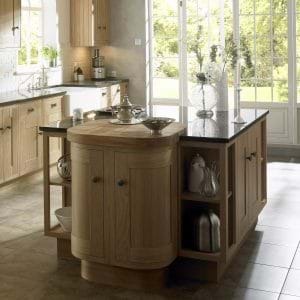 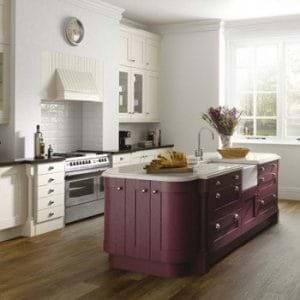 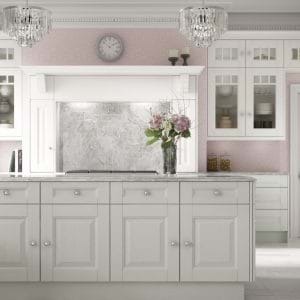 The key to the aesthetics of a traditional style kitchen is matching furniture. 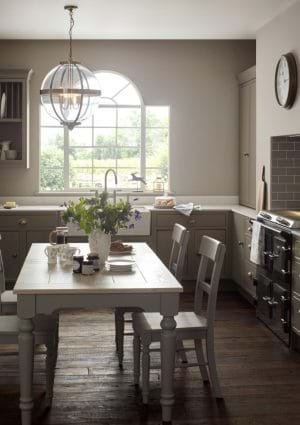 Why not continue the wooden or painted look through to your dining furniture? 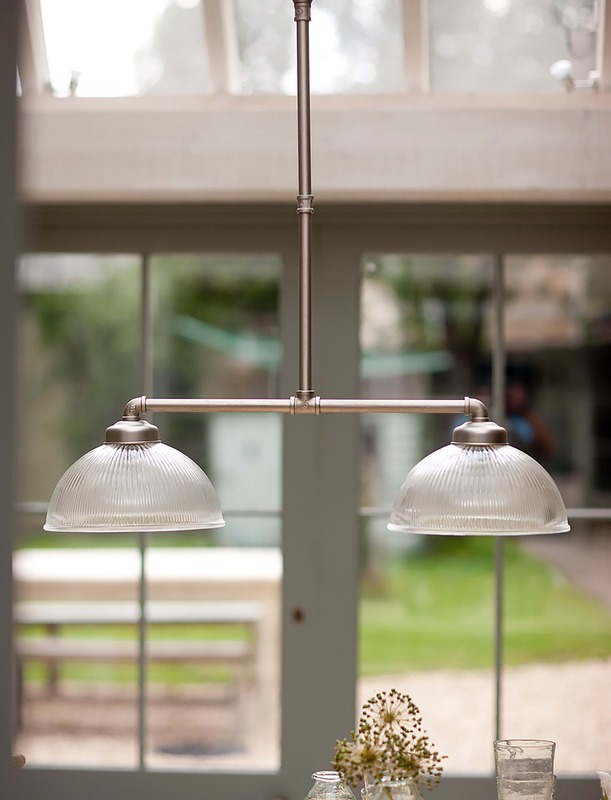 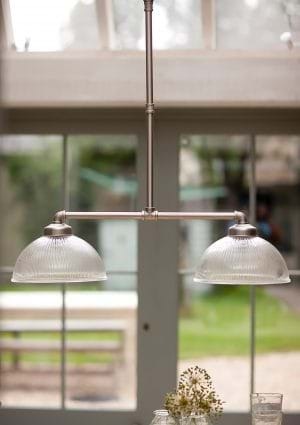 Double pendant light fittings provide a Parisian brasserie feel to your home and look especially great when fitted above an island or long dining table. 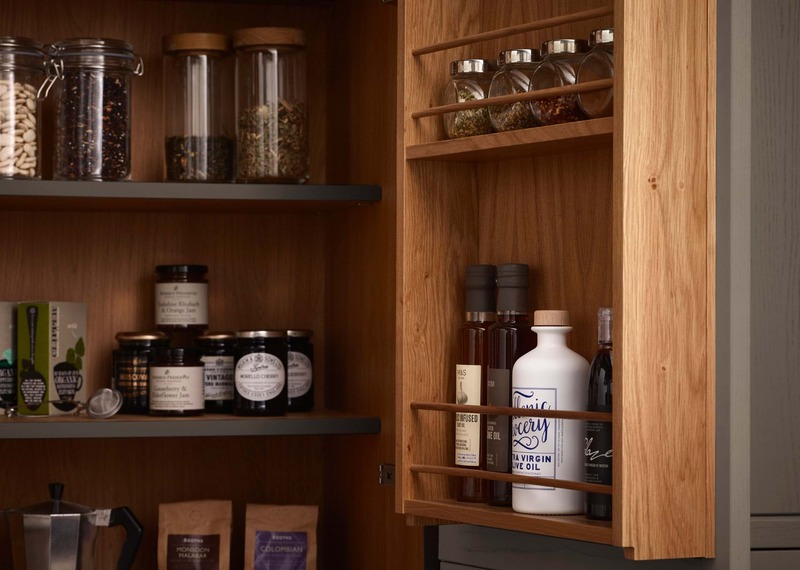 Use clever storage ideas to maximise the space within your kitchen cabinets. 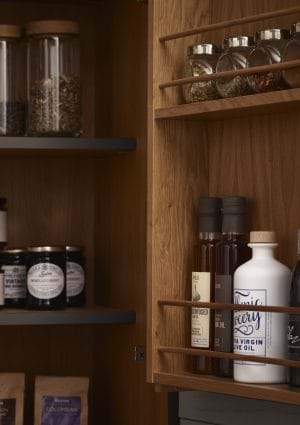 Installing larders and dividers are an excellent solution to creating more space.